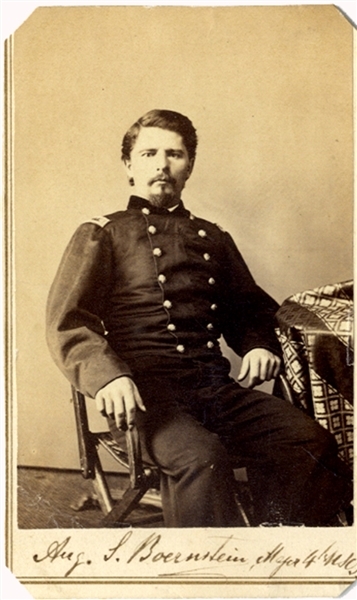 Carte de visite of August L. Boernstein, Co. A 2nd Missiouri Infantry, in uniform. Kimberly Bros. Fortress Monroe backmark. Fine condition.